Today I bought 30 limes for 10 baht … that is like 30 cents. Now I can drink limeades till they flow out of my ears. This trick I learned from watching the local “somtum” ( thai papaya salad ) vendor . 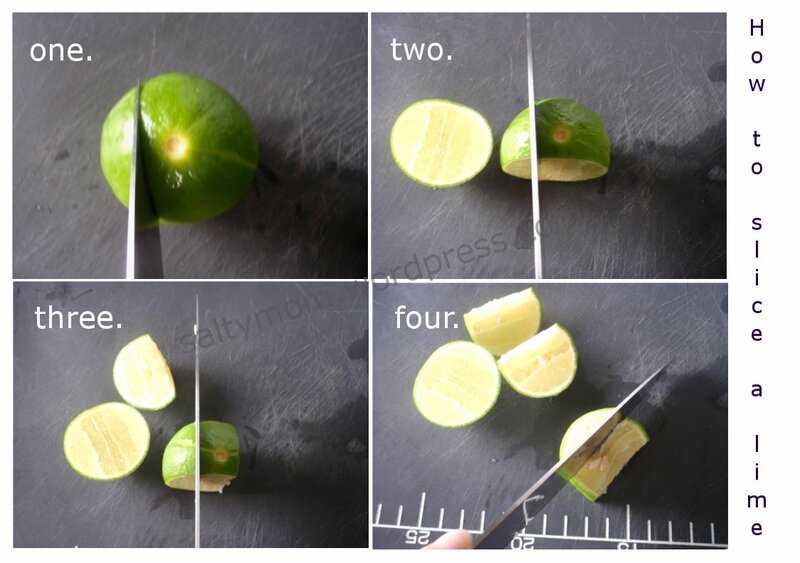 You’ll get more juice out of the lime than by just slicing it into half. No special tools needed, just your good old kitchen knife. This method also keeps most of the seeds out of the juice.